What is it? 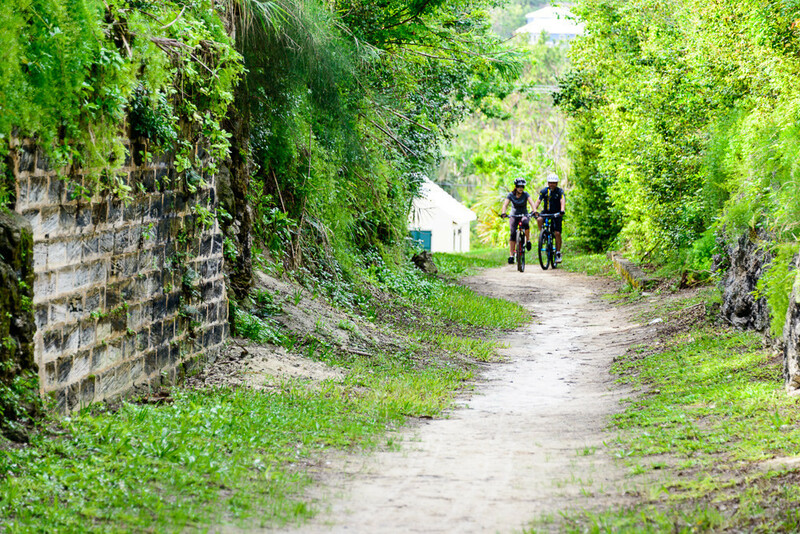 Running almost the whole length of Bermuda, this hiking or cycling trail follows an abandoned rail bed – the "Old Rattle and Shake" train, which wound down in 1948. Why go? 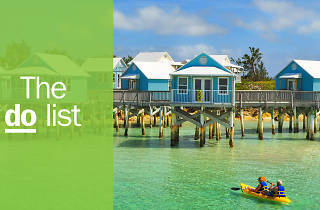 There’s no better way to soak up the country’s varied natural beauty in one fell swoop. 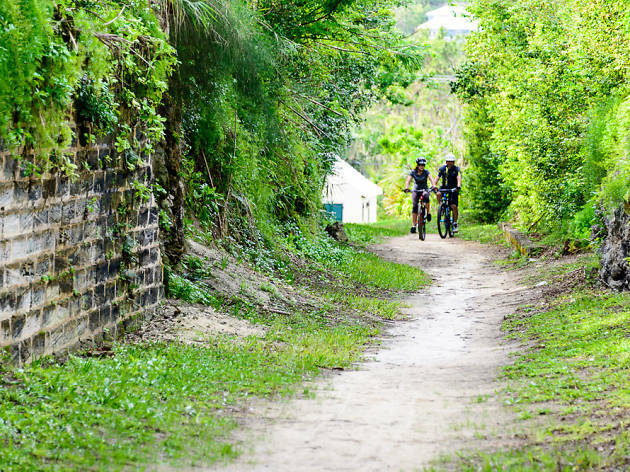 The 18-mile route passes through peaceful woodland and historic towns, traverses drawbridges and skirts breathtaking coastline. 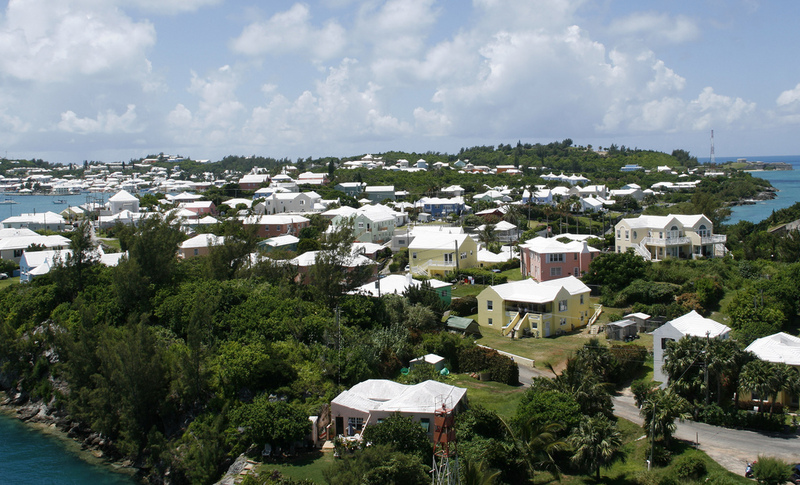 Pick up a map in the Hamilton visitors’ centre or join the Walking Club of Bermuda’s weekly Sunday morning ramble. What is it? A no-frills joint in Hamilton, serving gigantic fish sandwiches: fresh snapper coated in a secret-recipe spiced batter, smothered with homemade tartar sauce and served between wedges of soft raisin bread. Why go? 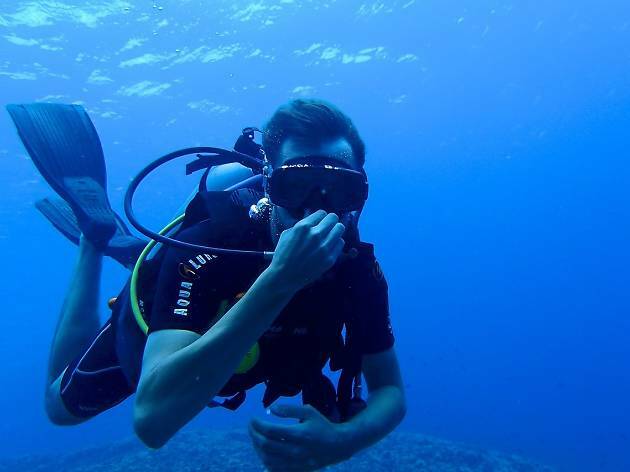 Something of a national obsession, it’s obligatory to tuck into at least one fish sandwich during your trip. 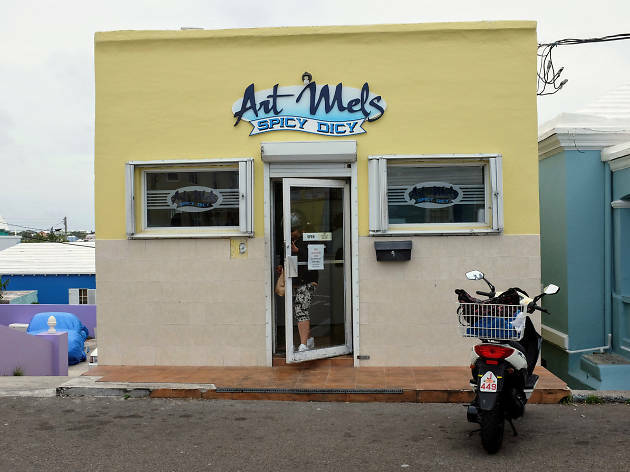 Art Mel’s legion of followers swear that his are the island’s (possibly the planet’s) finest. Wash down with a bottle Barritt’s ginger beer. What is it? 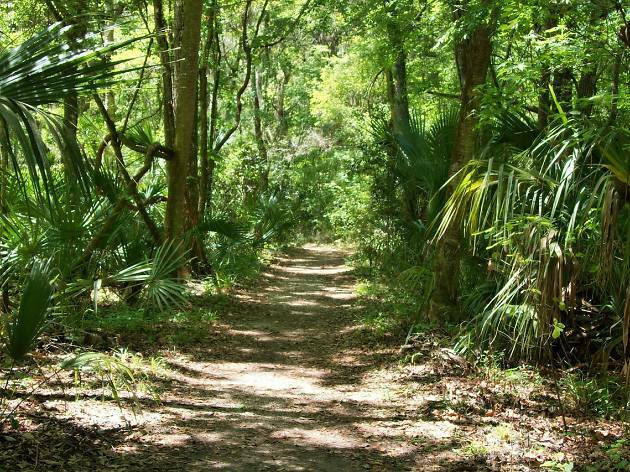 A sprawling 37-acre estate, Southlands was once the playground of a Canadian businessman but these days the forest-smothered ruins are colonised by sunbathing lizards. Why go? 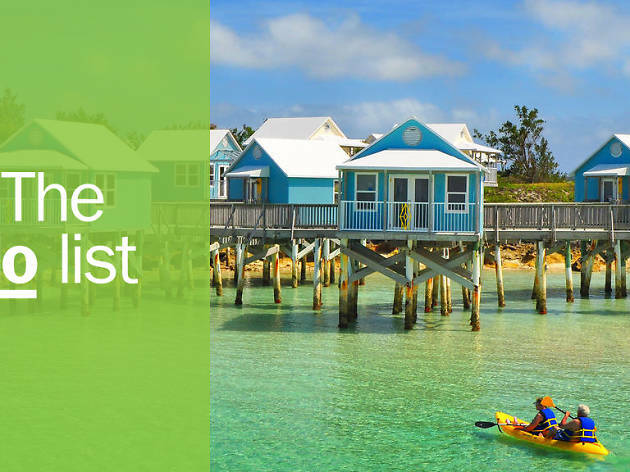 Bermudan flora has gone full-throttle here; beyond the wild allspice and agave plants, do your best Tarzan impression in the country’s largest Banyan tree grove, a spectacular web of looping vines and gnarled trunks. What is it? 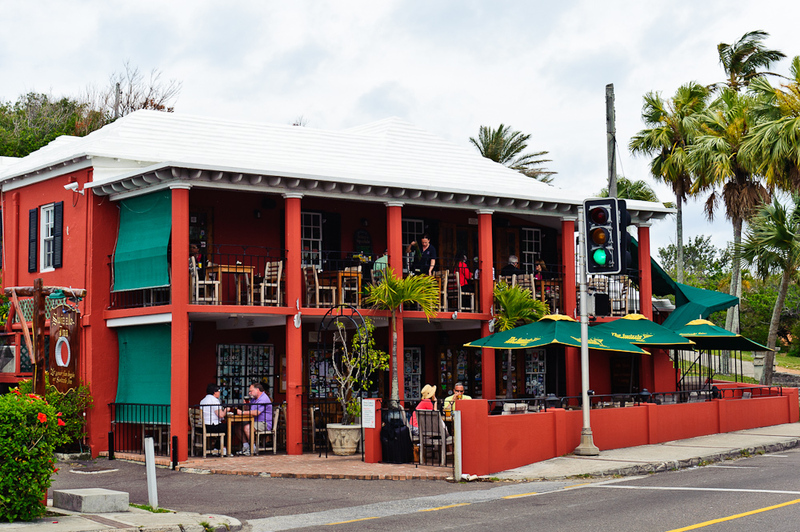 Bermuda’s oldest pub, set in a 17th-century roadside house and family-run for generations. Why go? The Rum Swizzle is one of Bermuda’s national drinks, so where better to sample the cocktail than its birthplace? A concoction of locally-made Gosling’s rum, orange and pineapple juices, falernum (a spiced syrup) and Angostura bitters, after a pitcher of this stuff you’ll see why the inn’s slogan is “Swizzle in, swagger out.” Don’t forget to add your signature to the thousands covering its walls. What is it? An immaculately groomed complex that’s home to everything from rose, palm and hibiscus gardens to a cacti hillside and even an aromatic garden designed for blind visitors. Why go? Follow in the footsteps of iconic artists who drew inspiration and solace from this beauty spot. 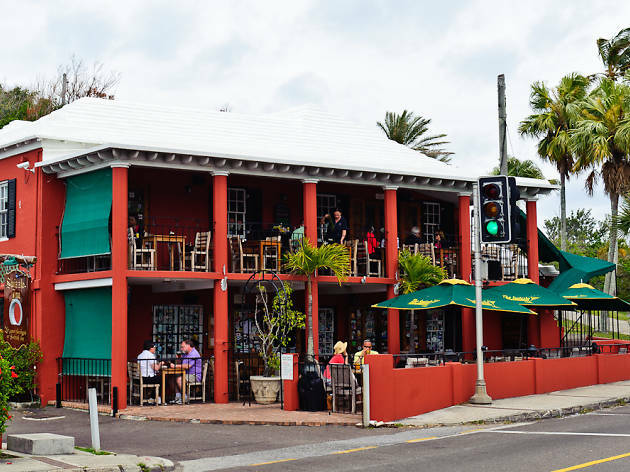 It was a regular haunt for John Lennon in 1980, who penned 22 songs during his two months in Bermuda and named his final album Double Fantasy after a freesia in the gardens. What is it? 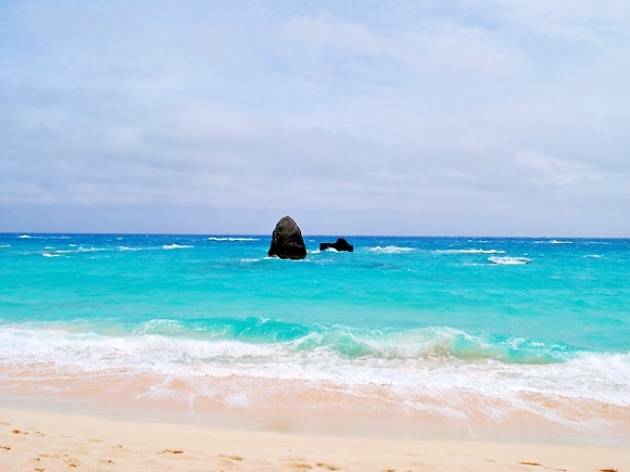 On this isolated eastern island, a pristine wildlife sanctuary, you’ll find only the flora and fauna that existed in Bermuda before humans settled there. Why go? 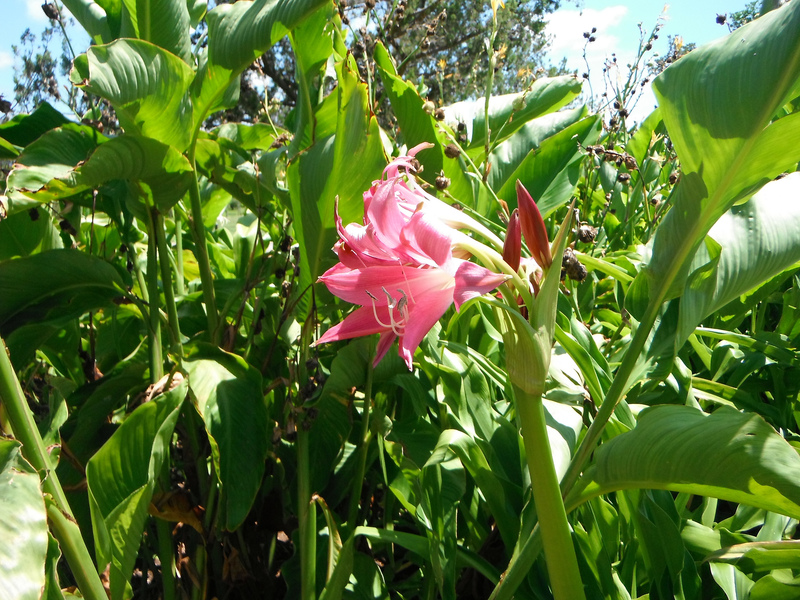 Get away from the crowds and spy many of Bermuda’s rarest species. The efforts of local conservationists may well bring out the twitcher in you – they managed to bring back Bermuda’s national bird, the Cahow, after it was believed to be extinct for over 300 years. What is it? Half a mile of powdery, pale pink sand (the colour is caused by tiny organisms from the coral reefs), backed by grape and cedar trees, and shallow dunes. Why go? 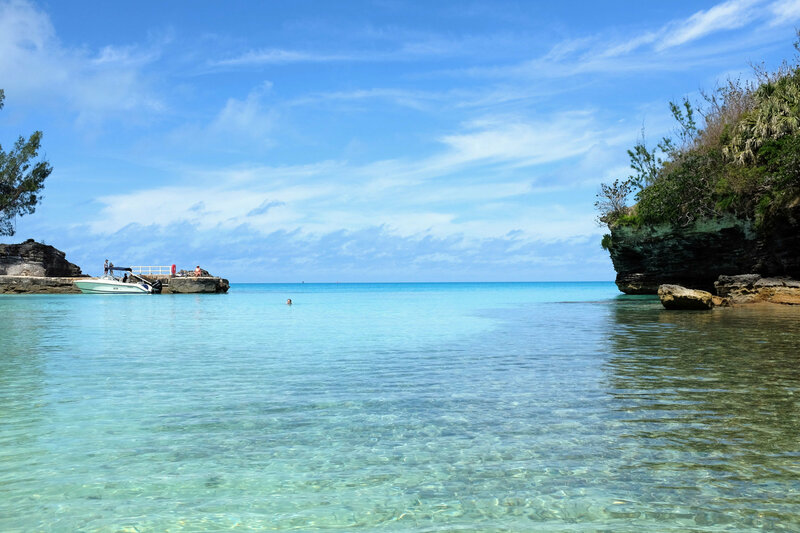 Warwick Long boasts the same gin-clear water and awesome snorkeling as its famous neighbor Horseshoe Bay, only without such heaving crowds. The sand here is even pinker, and there’s more chance of getting a decent patch of it to sunbathe on. What is it? 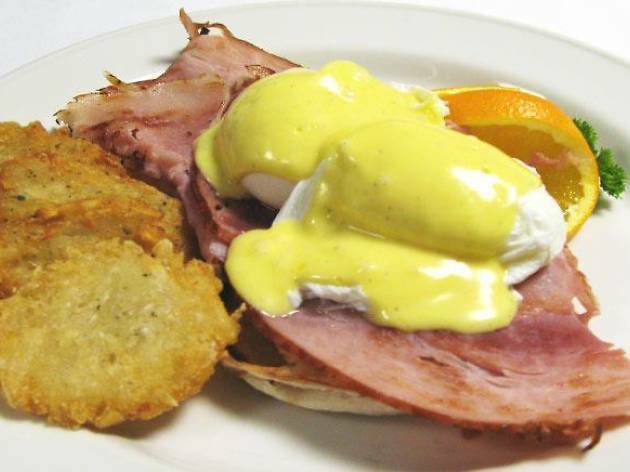 Hamilton restaurant Bouchée serves an award-winning codfish brekkie on Sunday mornings. Why go? 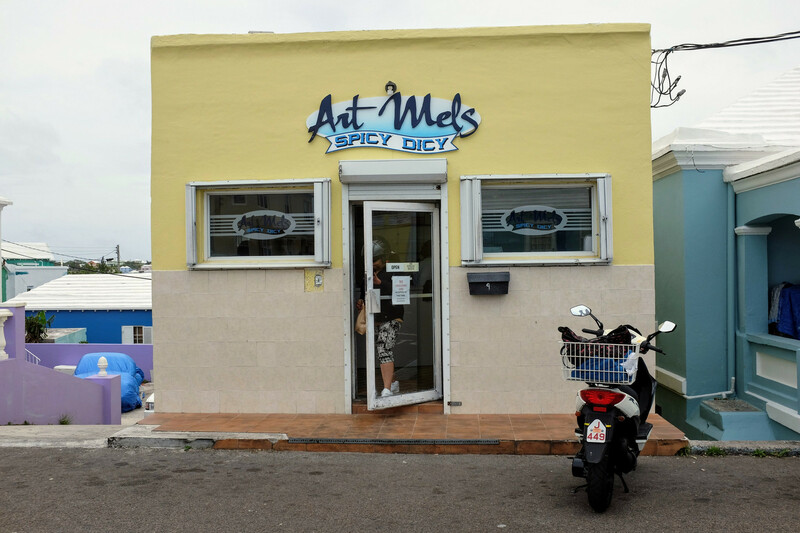 Not only is it filling and delicious, you’re getting a true slice of Bermudan heritage, tracing back to the 18th century when merchants traded sea salt with local cod fishermen. The classic dish piles on boiled or steamed salt cod with boiled potatoes, onions, sliced bananas, avocado and hard-boiled egg. What is it? 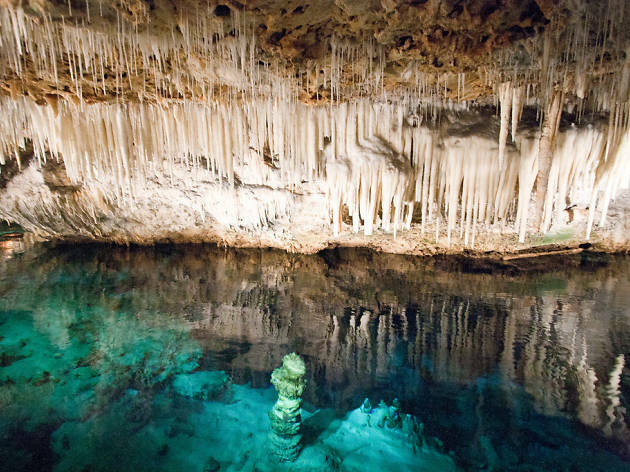 A hundred feet beneath Hamilton Parish lies a vast network of natural caves. The complex was only discovered in 1907 when two little boys were searching for their lost cricket ball. Why go? 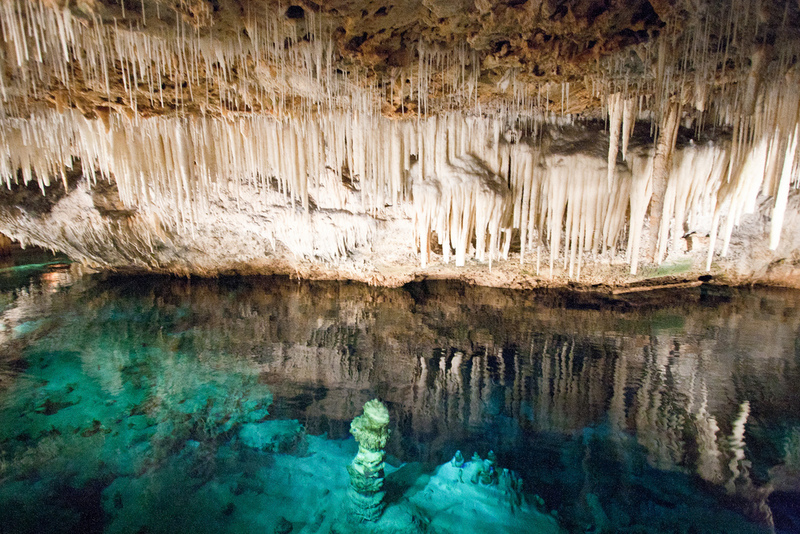 Deep, glassy water reflecting a canopy of glittering stalactites makes for a sight as unforgettable as any beach. But don’t take our word for it – author Mark Twain called it “the most beautiful cave in the world” and Jim Henson was so inspired he came up with the concept for Fraggle Rock here. What is it? 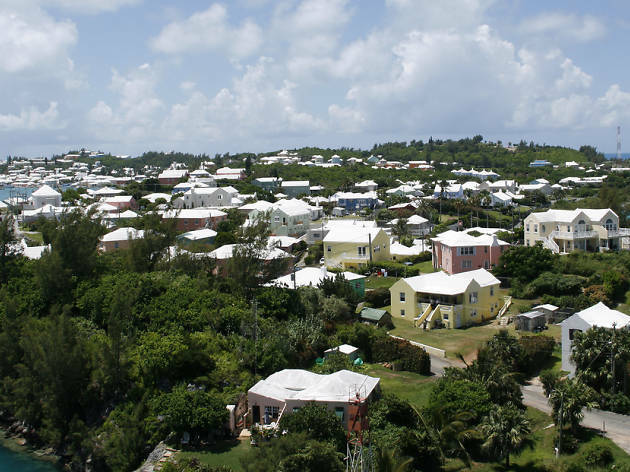 Bermuda’s picturesque former capital, a UNESCO World Heritage site, is best discovered on a lively re-enactment tour. Why go? Colonial history springs to life at the hands of a knowledgeable (and jauntily costumed) guide, sharing stories of people who lived on these quaint cobbled streets. 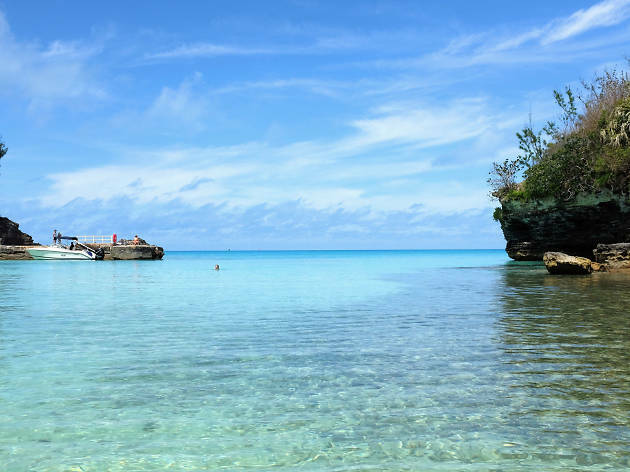 You’ll head from Tucker House, an 18th century merchant’s home, to St Peter’s church, the oldest Anglican church outside Britain, via a full-size replica of the ship Deliverance, on which Bermuda’s first settlers finally completed their voyage to Virginia. What is it? The barrier reef that encircles the island has been the undoing of countless ships over the centuries, the largest being Spanish warship Cristobal Colon, which sank in 1936. Why go? 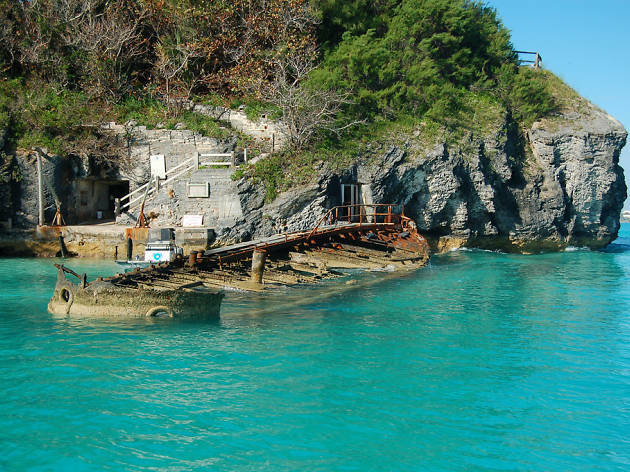 Dubbed the ‘Everest’ of Bermuda wreck dives, there’s a whopping 499 feet of wreck to explore in relatively shallow water (from 15-80ft), colonized by colorful marine life. Among the reef fish, turtles and fields of sea fans, look out for artillery shells scattered over the sea bed. What is it? 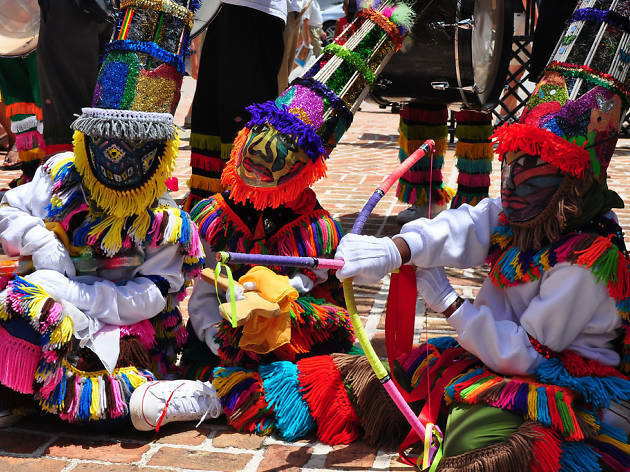 With their vibrant tasseled costumes, masks and whistles, there’s no missing a troupe of Gombey dancers. Along with national holidays and sporting fixtures, catch them at Harbour Nights (Wednesdays, June to September) or Queen Elizabeth Park (Saturdays). Why go? This is a real expression of Bermudan culture stretching back centuries, blending African indigenous roots with Native American and British influences. 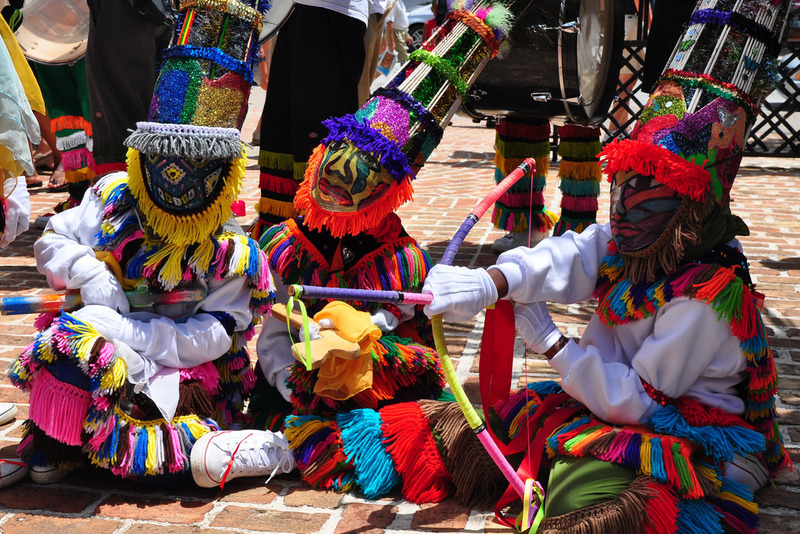 The rhythmic drumming makes for an infectious carnival atmosphere; crowds usually join in with the dancing. What is it? 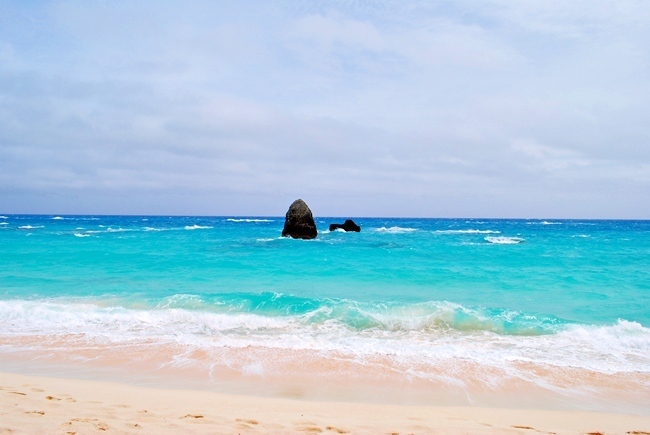 Call them crazy but come summertime Bermudans have a thing for flinging themselves off rocks. You’ll see groups of kids taking the plunge across the island. Why go? It’s an exhilarating way to cool off, if you’re brave enough. 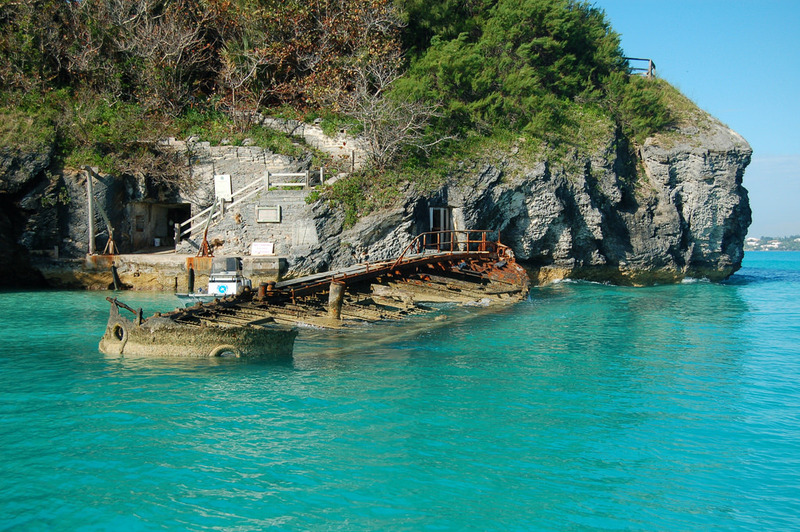 One of the most popular (and, crucially, safest) spots is known as ‘Canon’, located at Admiralty House Park. The drop is about 20 feet, into clear, deep water. Only to try it at high tide and never jump head first.